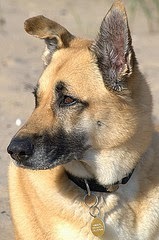 As promised, Techie Tuesdays are brought to you by your friendly, geeky, German shepherd-loving blogger. Want to know the top 20 tips, tricks and coolness of 2008? Visit my friend, Kim Komando and her top 20 list. Click here. Please don't visit my blog using Internet Explorer. Use Firefox, Chrome or Opera. Safer, cooler and faster. If you surf on a Mac, I like Camino. Never heard of it? Check it out here - Camino. If you are using Firefox, do you have these add-ons? Top 15 must haves for Firefox! Looking for ways to save money? Check out Pricegrabber and compare prices, some even better than Amazon! And lastly, if you are online a good part of the day and need music, check out Pandora. Until next Tuesday, tech it up baby! It puts a little color-coded donut up, next to your address bar to let you know if a site is safe, similar to McAfee Site Adviser. They even show up on all you Google searches.